Made using topnotch materials and manufactured to exacting standards and tight tolerances, this is HOT ammo for hunting and plinking, made affordable! From Prvi Partizan, the top Serbian munitions manufacturer. All calibers and bullet types are boxer-primed, non-corrosive, made with standard and spherical powders. 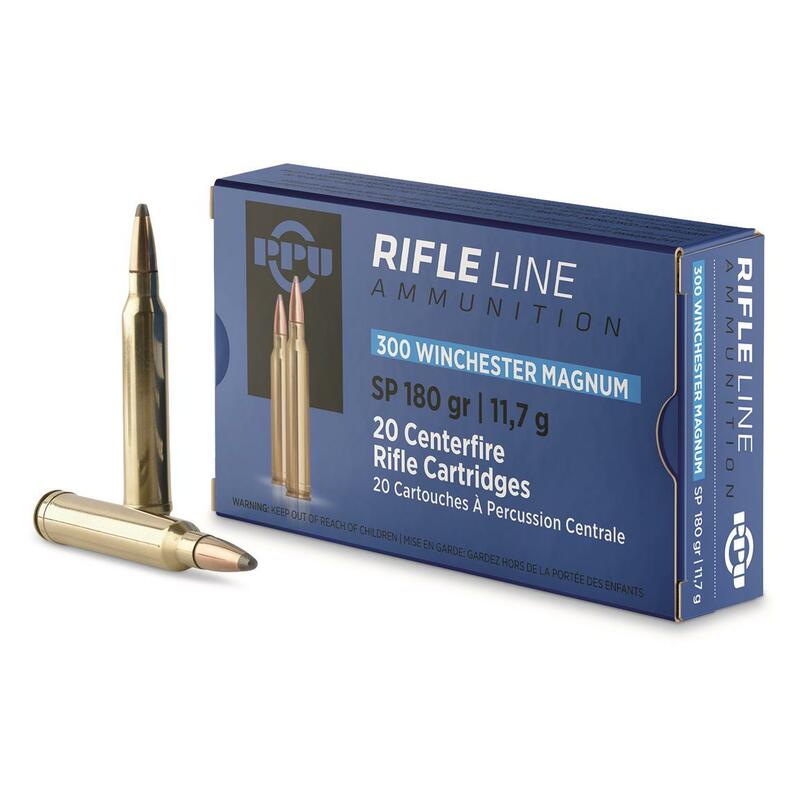 PPU, .300 Winchester Magnum, SP, 180 Grain, 20 Rounds is rated 4.8 out of 5 by 12. Rated 5 out of 5 by Rskwerl from So far, so good. Great price. So far have only used it at the range for sight in. Good ammo so far. Have not been able to use it on game yet but there should not be any issues. Rated 5 out of 5 by NC10735285 from It works Just back from the range, and first time shooting this ammo out of my 700 win mag.Just to compare - I shot Remington and this PPU every other shot.The only difference between the two - is that the PPU seems to hang up when attempting to throw out the old brass Gave this 5 stars as the performance is excellent and the price can't be beat! Rated 5 out of 5 by Rattlecan78 from Devastating on game performance Just took two whitetails with this ammo,amazing performance on game for the price. Acted like a Berger vld so I don't think it would be my choice for bear,however if venison is on the menu you can't go wrong. Neither shot exited at 350 yards,massive internal damage. Rated 4 out of 5 by hawkeye from priced well good ammo for sighting in before switching for the final shot placement groups to hand loads or always available American brands for the hunting trip. You could probably hunt with it , I just never have. Some of the rifles I use are rare caliber and only PPU offers safe, reliable ammo. Their cases are annealed also, and reloadable. The only cases I have reloaded were the odd calibers and they performed well. I would read the other posts for bullet performance on game and accuracy. 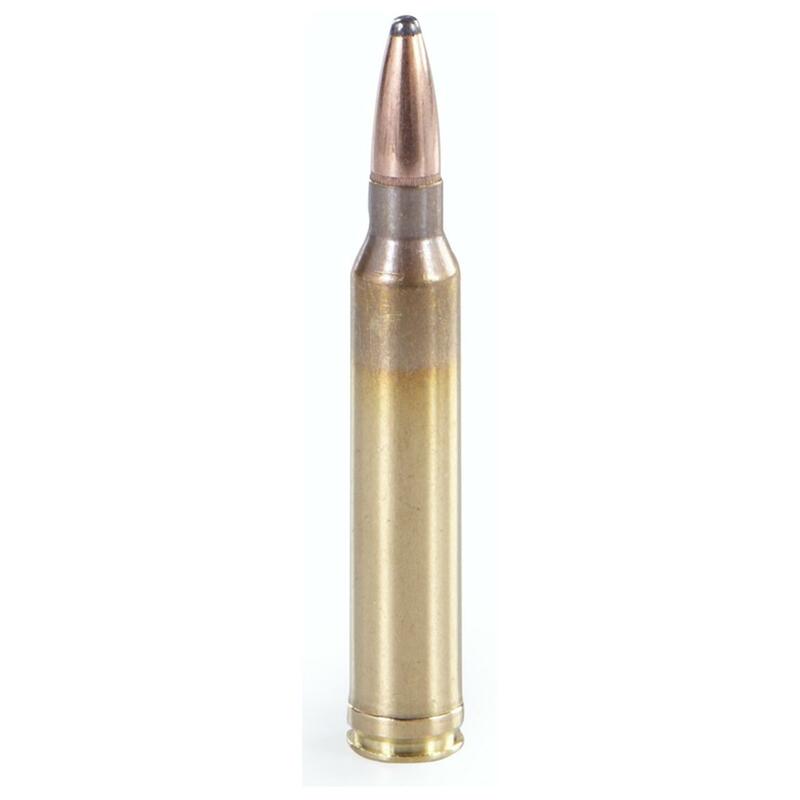 Rated 5 out of 5 by doyle1957 from great product This is great ammo , and not a bad price either . Rated 5 out of 5 by shootersam from Great Price I compared this ammo to Federal Power Shoks, and not much different. Will continue to purchase this as long as it is comes at this price.